Dub allows your members and visitors to comment on individual posts. Currently Dub integrates with Disqus to power the coment system. By default, your parking site will use Dub's default Disqus account. 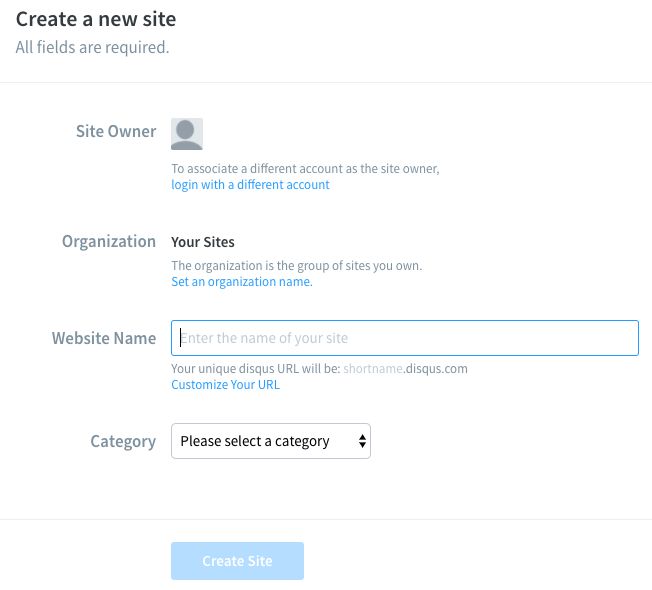 However, you can use your own Disqus account for your site and we will explain how to do just that in this document. If you haven't done so already, create an account at Disqus and sig in. Add a new site as shown in the below screenshot. Fill in the details of your site as shown below. 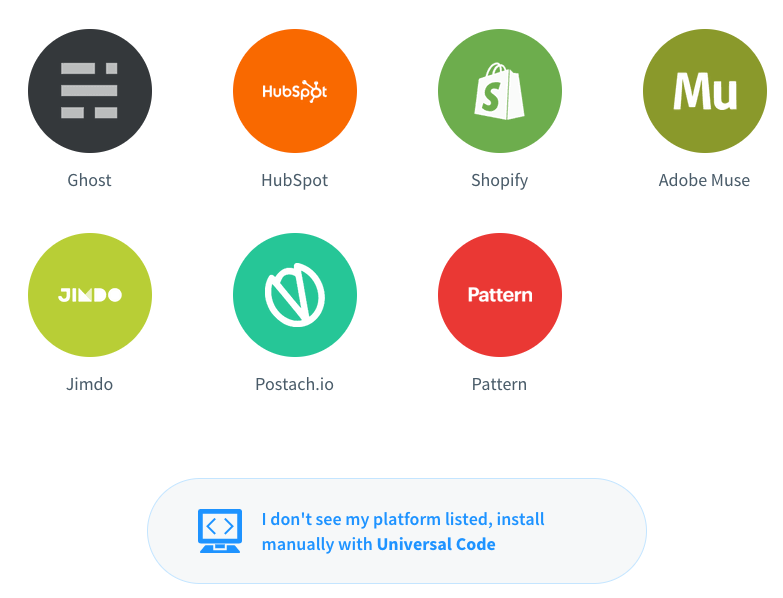 When selecting a platform, go down to the bottom of the page and click on 'Install manually with Universal Code'. And paste it in the "Comment" settings on Dub. Please copy and paste the code as is. 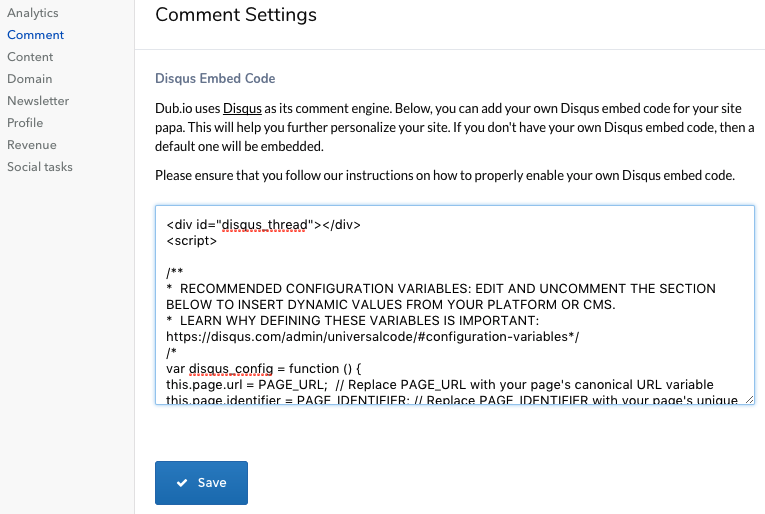 There are some variables within the Disqus code and Dub will automatically update them to suit your site. That should be it. From here on, you can configure how your Disqus comments appear from your Disqus admin panel.